The original, and one of many fabulous iterations. 1. People are puzzles. This initially might sound rather clinical or despairing, but fear not! Let me elaborate–people may appear one way on first glance, but there is always more and in order to begin to fill in the character of someone, you must spend a good amount of time with them. Like any good puzzle, it is a tricky process to figure out every piece of a person and it is time-consuming, but often, it is quite fun. For example, think of a very close friend–it is likely that they don’t quite match whatever you thought of them at first glance. As you get to know someone, you dig deeper through the layers of his or her character and put together piece-by-piece a larger picture of who that person really is. 3. The human brain is meant to be active. This is something I’ve experienced firsthand in the last few days. I’ve been home, and now that my mind has significantly recovered from the sleep debt stored up over the semester, I find my brain wanting to do more. At school, my mind would quickly turn off at night, but at home I’m often energized with lots of thoughts before sleep–because I haven’t kept my mind quite as occupied as I normally would, it’s not as tired. Don’t get me wrong– mental breaks are very necessary. But I’m excited to put my brain back to work, whether that’d be through reading, writing (this post for instance), crafting, or who knows what else. 4. A little observation goes a long way. In the often self-absorbed world we live in, we tend to miss the little things. You can learn a lot about the world around you by giving it your full attention–and it’s particularly fun to trying to find the Sherlock-level details of the world around you. Try it for the day, I find it to be delightfully challenging and worthwhile. 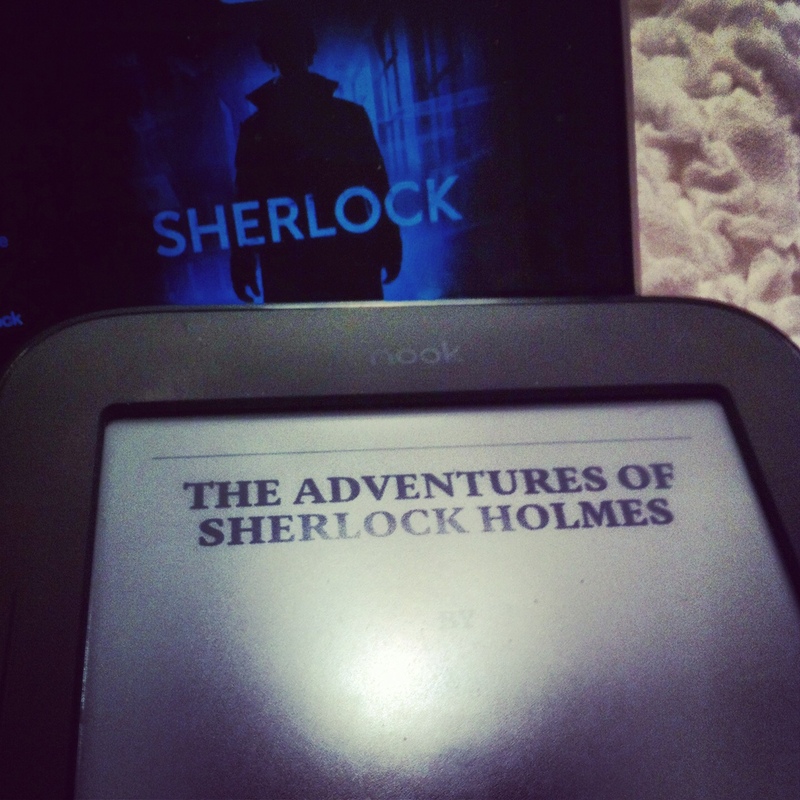 If you haven’t dove into the recent Sherlock Holmes-frenzy, I highly recommend it. Not only are the versions of the stories interesting and entertaining, but perhaps they’ll lead you to deduce some life lessons of your own.